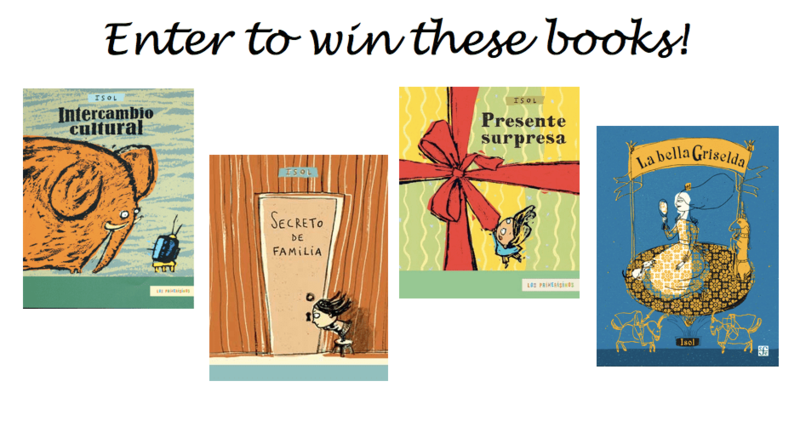 their picture book life: ISOL + a giveaway from la librería! I’m starting another series! It’s called “THEIR PICTURE BOOK LIFE” in which I’ll periodically showcase one picture book creator and her contribution to the form. I’m excited! 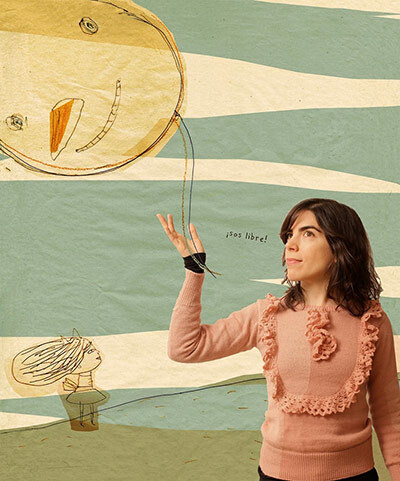 First up, Argentinian author/illustrator, ISOL (aka Marisol Misenta). She won the prestigious Astrid Lindgren Memorial Award in 2013 (which has just been awarded this year to Barbro Lindgren). It’s clear from ISOL’s books that she possesses a unique, creative mind as both artist and storyteller—bizarre, wonderful, edgy. And her books have that special thing I love: they appeal to anyone of any age. 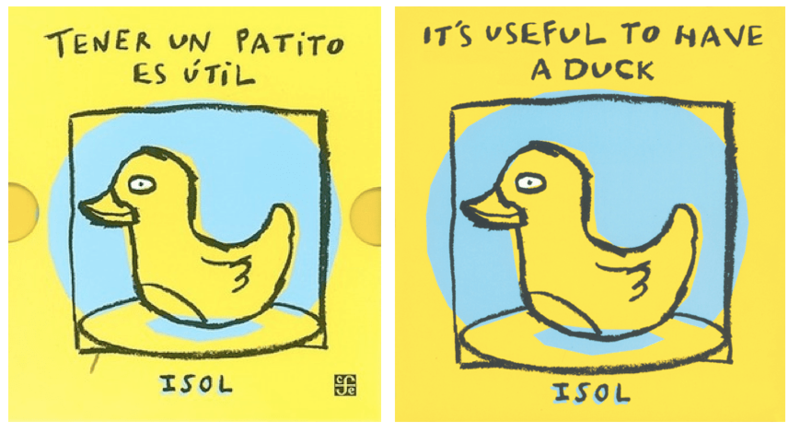 Take It’s Useful to Have a Duck (Tener Un Patito es Útil) for example. It’s a board book. You know, a super simple book for the youngest little readers and hearers of stories. But it’s so well-exectued and so layered and smart that I found myself amazed and delighted when reading it. 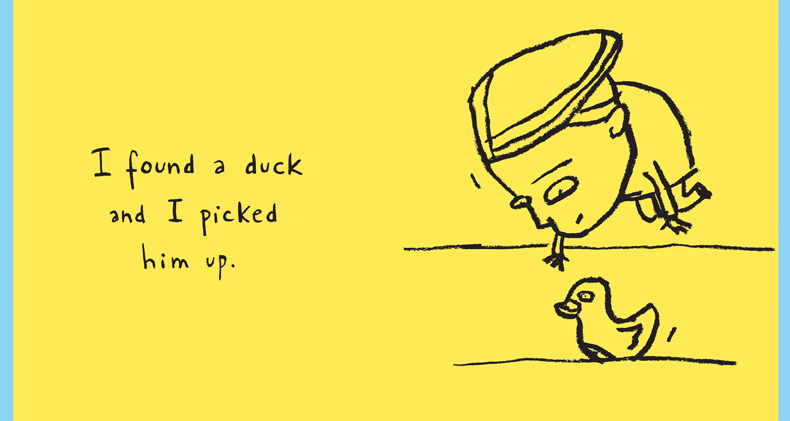 ISOL never underestimates her audience and this accordion style book told from two different perspectives—boy and duck—is basically genius. 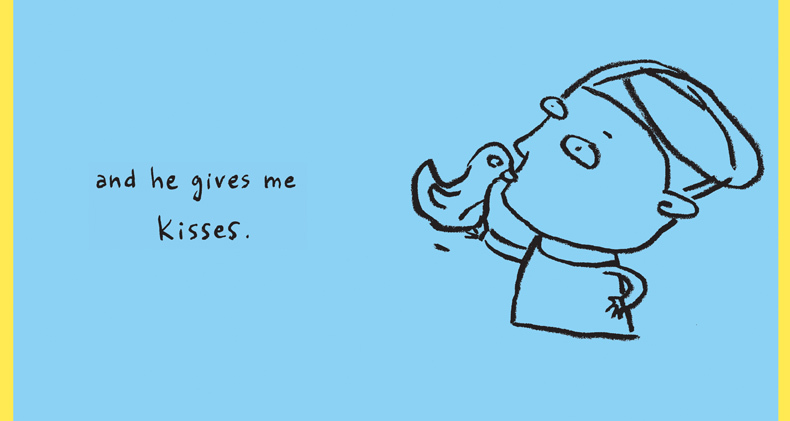 When the boy thinks the duck is giving him kisses, the duck thinks the boy is waxing his beak. “The skillful way that Isol handles these subtexts allows her books to be read on mulitple levels. The child is constantly discovering something new, while the adult is rewarded on a perhaps more profound psychological level. 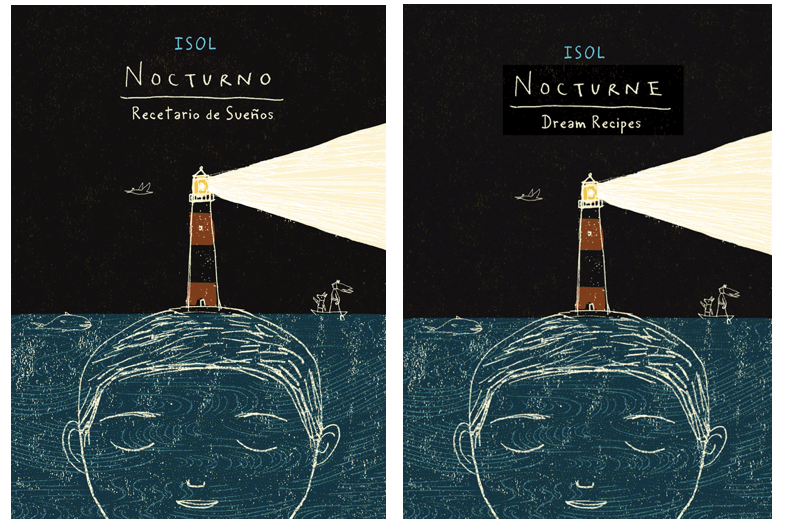 ISOL’S latest is Nocturne: Dream Recipes (Nocturno) in 2011. Thanks to Groundwood Books for Nocturne images! 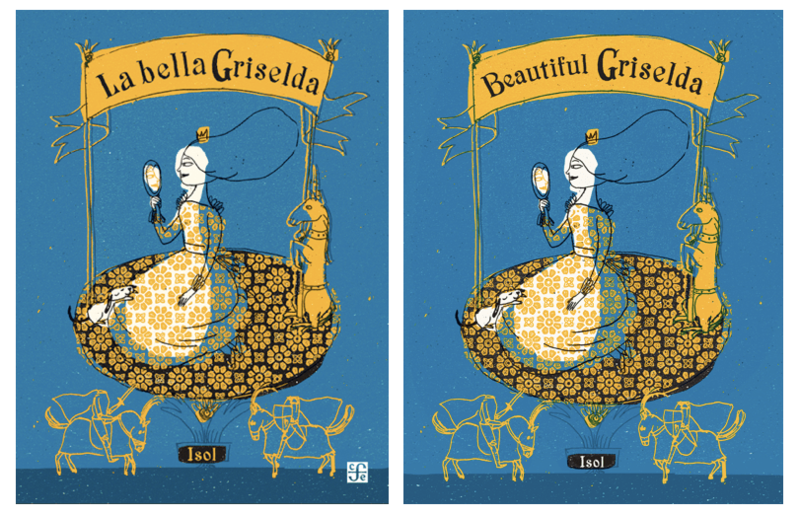 I must also mention Beautiful Griselda (La Bella Griselda, 2011), the book that introduced me to ISOL’s work. It’s so like a traditional fairy tale—it’s strange, dark, and even gruesome, with an ending to puzzle over. And it’s wonderful. Literally, men’s heads fell off when they saw Griselda. Their heads fell off! The book deals with vanity and being loved versus being feared. The poems are so very childlike and delightful and rich. And ISOL’s illustrations really shine with her characteristic bold shapes, hand drawn lines that can’t be contained, and her own childlike quality that manages to convey so much emotion. Darkness, then light, confusion, then comfort. Not to mention this book is completely hilarious. What strikes me most about ISOL’S work is duality and things in opposition. Take the dual perspectives in It’s Useful to Have a Duck. The dark and light of Nocturne. In Petit, the Monster, the opposition of good and bad and the way ISOL plays with and morphs them. Her illustration style as well: bold shapes and intricate patterns with her hand drawn and coloring out of the lines quality—simple and childlike while at the same time sophisticated. A big shout out has to go to Groundwood for publishing ISOL’s work in English and to Elisa Amado for translating it. Now, on to LA Librería and a wonderful giveaway! Based here in Southern California and providing books for kids in Spanish, LA Librería is a treasure. They host events and sell the most beautiful books from Latin America and Spain. I first learned of them at their LA Times Festival of Books booth and it was those very beautiful books that drew me in. Their books are perfect for Spanish speakers and/or Spanish learners. For parents of either. For bilingual teachers of bilingual students. For anyone who appreciates wonderfully crafted books. The books: Intercambio Cultural (2000, paperback), Secreto de Familia (2003, paperback), Regalo Sorpresa (Los Primerisimos) (2010, paperback), and La Bella Griselda (2010, hardcover). 1.) Like LA librería on Facebook here. 2.) Like This Picture Book Life on Facebook here. 3.) Leave a comment on this post that says who you’d like to share an ISOL book with. I’ll contact the randomly chosen winner by email for your mailing address! WE HAVE A WINNER! MEGAN’S NAME WAS CHOSEN FROM THIS PICTURE BOOK LIFE’S HAT. CONGRATULATIONS! 22 Responses to their picture book life: ISOL + a giveaway from la librería! If I were so lucky, I would share with one of my local elementary school classrooms, or if it arrived in excellent condition, Id write it up and do a giveaway in a blogpost. Either way, sharing is best! I have only found Doggy Slippers in my local library, so I am glad to hear Groundwood will be publishing more in English. Yay! 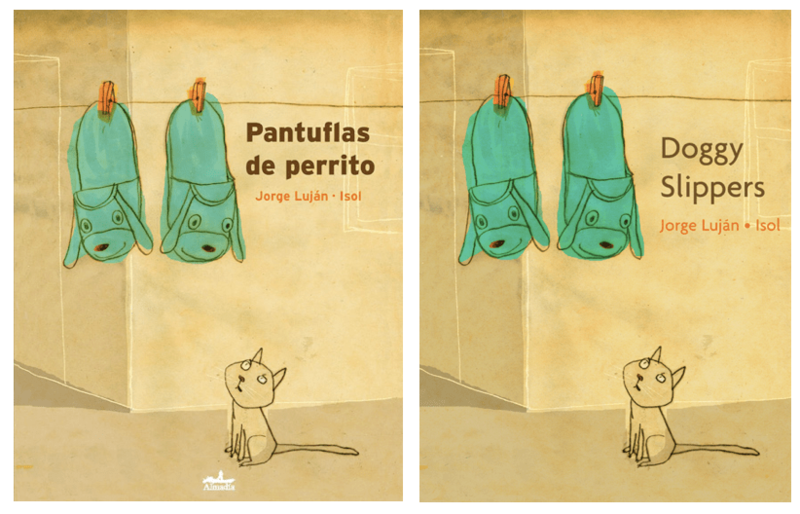 Love seeing these picture books in Spanish! I’ve got a new little niece/nephew (it’s a surprise!) on the way, and I’d love to share the multicultural beauty of these books with him/her. Thanks for sharing! I would share with the smallest Spanish learners I know…some kindergartners I tutor. But I wouldn’t be offended if you wanted to send one book to four winners! I would love to share these books with my twin daughters. They are wrapping up their 2nd grade year & headed into 3rd grade year in a dual immersion Spanish program. So fun! I hadn’t heard of Isol. One of our dearest friends are raising their children bilingual and are always looking for excellent Spanish picture books. Would love to surprise them! I would love to share one of these beautiful books with my daughter, who has started to take Spanish this year. I would love to share one of these books with teachers who I interact with on a daily basis. I’m working to spread multicultural literature throughout the state of North Carolina and this would contribute to the multicultural children’s library I use! i am so sad that it’s only open to US residents!! 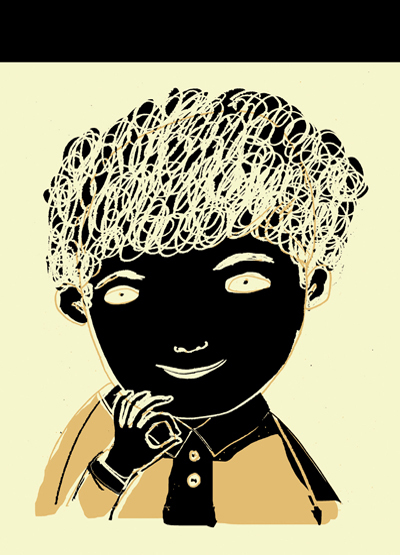 but thank you for introducing me to ISOL – her books and illustrations look amazing!! io,io,io! sono simpatici, sono belli, sono fortunelli! Wow, this post was like an early Christmas gift, full of the most marvelous and beautiful surprises. What a talent ISOL is! I love her work. I am may know (after enjoying it myself) what little hands to offer the book to. Adore ISOL! Thanks for showcasing her talents! Would love to share this collection with my Nephew and Niece. I would share this with my daughter Keira who will be starting Spanish immersion kindergarten in August! I would like to share them with my nieces and nephew who are US residents, it would be a great surprise from their far-away aunt! Wow! These books are incredibly unique! I would love to share them with my Spanish speaking reading buddies. They like to teach me Spanish. Thanks for this fun post! ANNOUNCEMENT: Megan is our winner!! Thanks to everyone who entered by commenting and everyone who visited this post! Cheers to ISOL’s incredible picture books!